I guess I should tell you a little about myself and what I stand for. I grew up in southern New Jersey, so instead of heading for “the Beach,” we went “down the shore.” Graduating from Stockton University in 1992 with a BA in Business Administration (concentration in Accounting), I moved to Delaware in 1995. I am a licensed CPA in Delaware. In 2015, I earned my Masters in Business Administration after years of study. Maria and I got married in 2002, and moved to Brandywine Hundred in 2003. We were blessed with the birth of our daughter Virginia in 2009. I have worked at BNY Mellon, formerly known as PFPC, Inc. or PNC Global Investment Servicing since 1993. Maria and I believe in giving back to our community. I am a member of the Delaware Society of Certified Public Accountants, the Windybush Development Civic Association, and the Campaign for Liberty. Maria sits on the Board of the Delaware End of Life Coalition, and donates her legal services to their cause pro bono. We both intend to become very active in the public schools as Virginia reaches pre-K age next year. My parents taught me from a very young age that nothing is free, and that you have to work very hard to get the things you want, or to provide for a family. I remember complaining to my father about having to get up early on Saturday mornings to deliver newspapers. He said, “When you’re sixteen, you’re going to want a car, and I’m not buying you one. So get up and get your customers their papers.” The principle of fiscal responsibility was always very clear in our household: except for something like buying a house, you didn’t borrow money, you saved. Saving, my parents insisted, was crucial to success, and debt could kill your dreams. They also taught me that our society runs on mutual respect, even in the smallest exchanges. The first time I was ever invited over to dinner at a friend’s house, my father advised me to eat whatever was put in front of me and compliment the cooking, even if I didn’t like it. “If someone is decent enough to offer you a meal, you show them that respect and thank them, even if the dinner is liver and onions,” he told me. 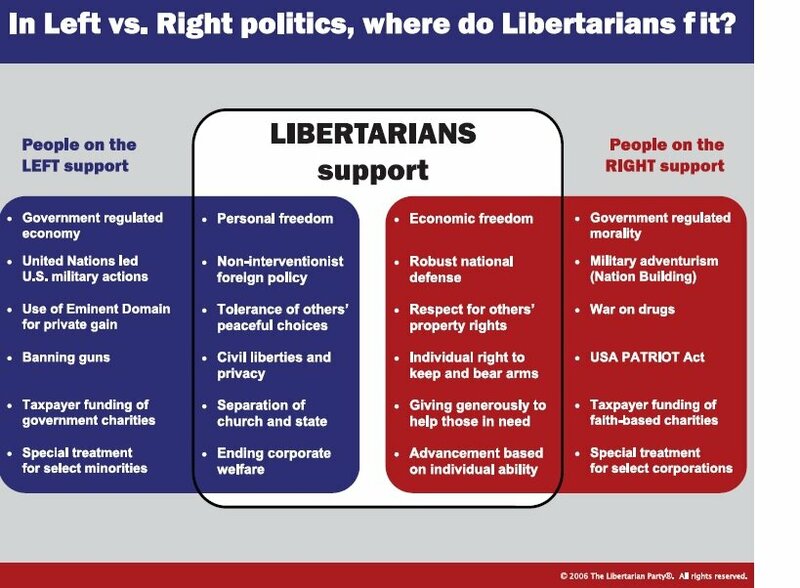 Being a Libertarian or Liberty candidate allows me to represent the very best historical attributes of the two parties currently failing America. Libertarians are fiscally prudent and socially tolerant; we believe in Constitutionally limited government and unwavering support of civil liberties. Many people seem to have forgotten in this country that civil liberty includes the right to make bad decisions and to have to deal with the consequences of our own actions. When our government turns into a nanny state, we all become prisoners of somebody else’s good intentions. Likewise, being a Libertarian means that you don’t let government keep spending money it doesn’t have, or use our military forces to invade other countries without a Congressional Declaration of War. America stands at a turning point, even if our so-called “leaders” refuse to acknowledge it. The desire of early Progressives to expand the power of the federal government combined with the greed of a few unscrupulous men of wealth on Wall St. helped cause financial panics that created the Federal Reserve and the Federal Income Tax a century ago. Today the income tax consumes more and more of our earnings, and the Federal Reserve has committed to an unsustainable course of trying to print our way out of this recession. If we follow this road for another few years, we risk losing the dollar’s status as the world-wide reserve currency. When that happens, we will have to compete with whatever new currency (the Yuan, gold or some other sort of commodity “basket”) the international community creates. Our ever growing debt will cause our money to decrease in value on the world markets, causing prices for imports to skyrocket. At that point, hyperinflation becomes a real possibility. In a decade or even less, the United States could suffer a very serious financial crisis. What happens when people’s individual incomes lose the ability to purchase basic goods and services? What happens when the government can no longer print money with any value and the people refuse to accept more tax increases? History suggests that not only does the government move in and take over large segments of the economy, but also that the Republic as we know it becomes a hollow shell. Real examples of this process abound, from the ancient Roman Republic to Weimar Germany. If we intend to avoid that calamity, we need real change now. We cannot keep re-electing the career politicians who promise us that we can have lower taxes, more spending, and larger wars without consequence. We have to put American citizens into office who will tackle these problems if we want our children to avoid growing up in a Republic lost to the will of special interests and an ever expanding government. The Republicans and Democrats have both had their chance to get things done and move the country forward, but the decades of bad economic, foreign and domestic policies have finally caught up to them. The same old approaches won’t work anymore. I hope you join me on November 4th to vote in an era of real change.